1. Sift together flour, baking soda and salt. Set aside. 2. Place butter, sugar, cinnamon, nutmeg, and water into a saucepan and simmer over medium heat until butter melts and sugar is semi dissolved. Remove from heat and cool for about 15 minutes. 3. Add flour mixture to sugar mixture and stir together with a wooden spoon until fully incorporated and a thick dough forms. 5. Firmly press dough into a lightly greased (9”x 5”) loaf pan (one with straight sides would be best). 6. Press a piece of plastic wrap over the surface of the pressed dough and refrigerate for at least 6 hours and up to 2 days (the dough needs to be very firm). 7. Preheat oven to 325˚F. 8. Remove chilled dough from loaf pan and cut in half crosswise and then lengthwise (so you have four pieces). 9. 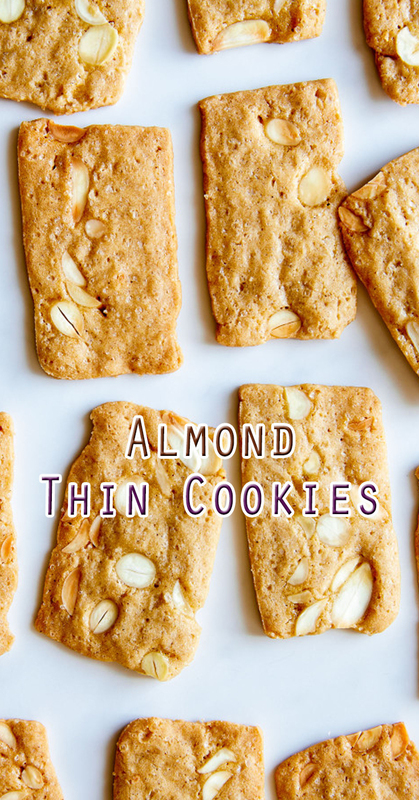 Using a sharp knife, slice cookies as thin as possible (1/8 inch or thinner) from one of the logs and place them onto 2 parchment lined baking sheets, about 1 1/2 inches apart. 11. Remove cookies from oven and transfer to a cooling rack. 12. Repeat steps 9-11 with the remaining cookie dough. 13. Once cookies have cooled completely serve or store in an airtight container for up to 10 days.